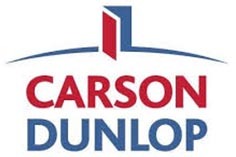 Dalhousie University College of Continuing Education is very pleased to continue offering programs in partnership with Carson Dunlop during the coming year. Buying a home can be the most important financial decision of a person’s life. That’s why professional home inspectors are so crucial—and so in demand. Dalhousie’s Certificate in Home Inspection will give you the core knowledge, technical skills and communication savvy to launch yourself into this rewarding industry. Our certificate program provides comprehensive training. From roofing to drainage and structure to electrical systems, you’ll learn to inspect all the key components of a home with confidence. You’ll also develop expertise in industry standards and ethics, and in drafting and delivering reports. A technical background is not required for admission. If you’re interested in completing the full certificate program, you need to submit an application form before registering for courses. We’ll help you determine the best plan of action to meet your career goals. The 10 required courses will give you the skills you need to start your own home inspection business. All of our home inspection courses can be taken on a stand-alone basis. They’re ideal for anyone—within the home inspection profession or not—who wants to improve specific skills or gain deeper, up-to-date knowledge in a certain area. Learn to evaluate wiring systems, service panels, grounding systems, devices, fixtures and more. Gain a comprehensive knowledge of residential plumbing supply, distribution, heating and drainage systems. Understand industry ethics and standards; learn effective communication with clients and stakeholders. 3. Submit by email to debbie.gordon@dal.ca or by fax to 902-494-3662.